7th Generation iPod nano. image copyright Apple Inc. This chart compares mid-level MP3 players that provide a solid, intermediate range of features and use solid-state Flash memory to store music and other data. These players offer good amounts of storage and good prices, but don't crown the lines or offer advanced features like Internet access or third-party apps. 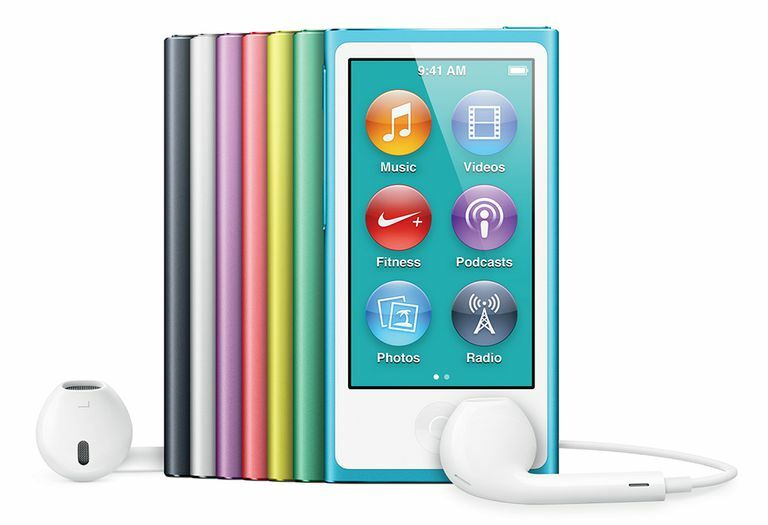 The iPod nano is the iPod that fits this space in Apple's lineup. This chart is designed to make it easy to compare the features and prices of these players to guide your buying decision. This chart does not compare hard-drive-based players, ultra-portable players, or advanced devices like the iPod touch. The Microsoft Zune has been discontinued.